Netflix’s Voltron: Legendary Defender ended season three on more of a question mark than a cliffhanger, mainly because the Powers That Be chose to split the latest season into two half-seasons. 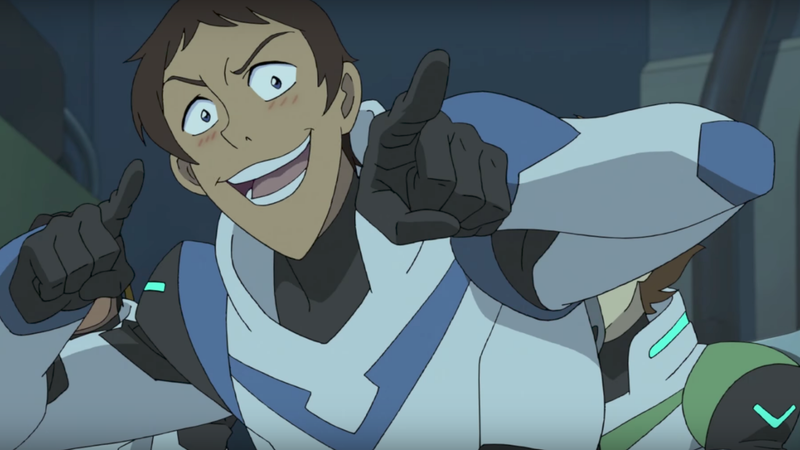 The latest trailer for “season four” is here, showing Voltron gaining some major popularity for the war effort... but it’s not all sunshine and rainbows for the Paladins. The latest season of Voltron had some of the show’s best stories and character development, including major changes to the team (like putting Keith in charge as Black Lion’s pilot), giving us some interesting dynamics and developing conflicts. It also started diving into the universe’s backstory, going beyond the Paladins and villains to give us a sense of what Voltron’s bigger world is like. Sadly, a lot of those developments were cut short, thanks to the divided season, and the whole thing felt unnaturally abrupt. Hopefully, the upcoming six-episode season, which debuts October 13, will set things back on course. Allura and the team will be focused on building the Voltron Coalition, while Keith makes a rash choice that causes a rift between him and Team Voltron. Plus, Lotor’s father Zarkon is now awake, and it seems like he’s going to be stirring up some trouble within the enemy ranks. You can check out the trailer below.